Home Companies Shenzhen Srander Technology Co., Ltd.
2. You can select it with or without bluetooth, but if it's with bluetooth, there is no toolbox in the package, please note! Notice: It Can Not Be Updated, Otherwise, The Multiplexer Will Be Damaged. Nexiq USB Link Support Heavy-Duty, Light-and Medium-Duty Trucks, CONSTRUCTION EQUIPMENT like (Wheel loader, Articulated Hauler and Excavator), Genset. 7 Freightliner: ALL ServiceLink:cascadia,century,columbia,Coronado,classic,FLDSD,4900FA, 4900SA,4900EX. 10 SCANIA VEHICLE, KOMATSU excavator, and MAN vehicle will be updated. 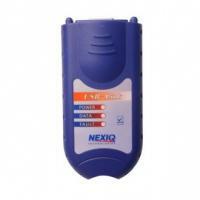 Nexiq USB Link works with all popular Engines including: Detroit Diesel, Caterpillar, Cummins, Perkins Engines. All DDEC VI equipped engines ,DD13,DD15,DD16,SERIES60,MBE4000,MBE900,and RS9, RSX9-A,RSX9-B, RSX9-R,RS10, RSX10 J1939 engine brake level for Series 2000 and 4000 Engines with USA and ISO firing order selection.